Madhya Pradesh PSC | Assistant Engineer | Govt. Jobs | Last Date: 14 January, 2015 | Apply Online. Consequent on the reorganization of States on 1st November 1956, eight districts of Madhya Pradesh have been transferred to the Bombay State and the remaining fourteen districts of the Madhya Pradesh along with Madhya Bharat, Bhopal and Vindhya Pradesh were merged to form the new Madhya Pradesh. 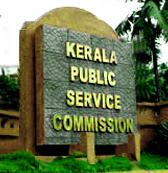 As there was no Public Service Commission for the States of Bhopal and Vindhya Pradesh, these being Part "C" States, and the recruitment for these States was being done by the Union Public Service Commission, the records of cases dealt with by the Union Public Service Commission for these two States were not available to the new Commission. Posted in Agricultural Engineering, Apply online, Civil, Electrical, Government Job, Job After Btech, Mechanical. Tags: 2015., Apply online, Assistant Engineer, Govt. jobs, Last Date: 14 January, Madhya Pradesh PSC on December 28, 2014 by kavita joshi. West Bengal PSC | Govt. Jobs | Asst. Engineer | Last Date: 25 Nov, 2014. Educational Background: BE/ BTECH (Civil/ Agricultural Engineering) from a recognized University. Posted in Agricultural Engineering, Civil, Government Job, Job After Btech, With experience, Without Experience. Tags: 2014., Asst. Engineer, Govt. jobs, Last Date: 25 Nov, West Bengal PSC on November 5, 2014 by kavita joshi. SKUAST | Govt. Jobs | Test Engineer | Last Date: 16 January, 2014. Posted in Agricultural Engineering, Automobile, Electrical, Government Job, Job After Btech, Mechanical. Tags: 2014., Govt. jobs, Last Date: 16 January, SKUAST, Test Engineer on January 10, 2014 by kavita joshi.